Are you thinking of moving or relocating to Mission Viejo, California? Would you like to know what the quality of life is like living in Mission Viejo? This is a great place to live because the weather is so nice all year round. It rarely gets super cold in the winters and the summers are just about perfect. The weather is actually ideal in this part of southern California and it represents why people will do just about anything to move here. It never snows and there are no hurricanes or tornados. No mudslides or flooding and once in a while it will rain hard, but not often and definitely not for long. Mission Viejo is a homey city and the neighborhoods are pretty well watched by the residents themselves. You won't find the big crimes here like in the large cities, but there are petty thefts and car burglaries. Leave your car window down with something valuable on the seat and when you get back from two minutes in the store, it will be gone. Same with bicycles. Run into a burger shop and leave your bike unlocked and guess what...you'll be walking home for sure. MIssion Viejo has plenty of wonderful areas to live in. One of the nicest and certainly the most expensive is Mission Viejo Lake. The lake is between Olympiad Rd, Marguerite Parkway and Alicia Pkwy. The houses actually surround the lake, which is just over 18 square miles in size. The prices range from about $300,000 up to and over $6 million and are absolutely beautiful, each one sitting on the edge of the lake. Mostly caucasians are residents in that very affluent area and crime is extremely low. 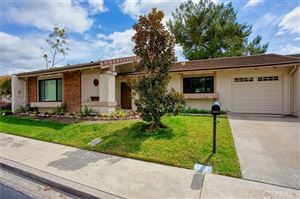 Some of the lower rental areas of Mission Viejo are in west Mission Viejo, adjacent to the city of Lake Forest, around Los Alisos Blvd. Stay in Mission Viejo and take a walk around the lake and the Shops at Mission Viejo. It's a great way to spend the day and you won't be disappointed. Laguna Beach is also only ten miles from this great town, so you could go to the beach first, if you like, then hit the Shops and then the lake and you'll feel like you just treated yourself to a super wonderful day. The Shops at Mission Viejo is a great mall and it has all the best name brands and chain stores. There are even movie theaters there and plenty of restaurants, so you could conceivably spend the whole day there just having a great time. Yes, Mission Viejo has some fabulous places to eat and hang out. Antonucci's is a superb Italian place and The New Shogun is one of the premier Japanese restaurants in all of Orange County. This town does have great schools and many of them get the highest ratings from greatschools.org. This is a picture perfect city with a gorgeous lake and a lot of greenery. It's a pleasure to drive though this community and it's even more fun to actually walk around the lake. People are friendly, if you seem to fit in with middle class style and own a relatively new and mildly expensive car. Mission Viejo insists that you are making it financially or you may not be as welcome as you would like to be. The San Diego Freeway runs through Mission Viejo and that is the only noise maker. There used to be a marine air base nearby, with really loud jets flying day and night, but that has been gone for years. Mission Hospital is one of the best in the county and it is a full service medical center including its famous trauma department. It's right next to Mission Viejo's great shopping center: the Shops at Mission Viejo.